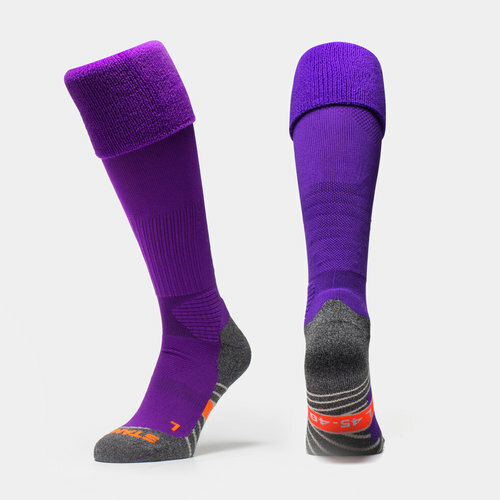 Uni Match Rugby Sock made By Stanno in Purple. Offers all any player requires for a top quality Technical Sock. The Uni Sock is made from Marfil, which is a top style of Polyproplene fibre. It offers a thermal fibre, whose QUA specific weight is the lightest available. The Uni Match Sock is moisture transportable, unshrinkable and recyclable. Polypropylene gives perfect comfort to your feet and avoids skin irritation. - Reinforced heel high density pad protection.